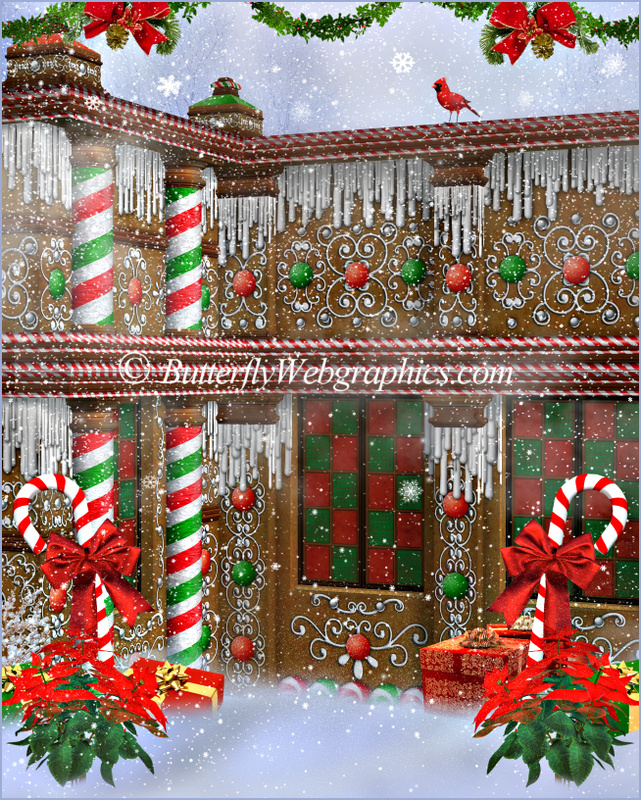 A finished artistic design from my Merry Christmas backgrounds. Not all are shown. This packages comes with benches, chairs, a holiday sign. 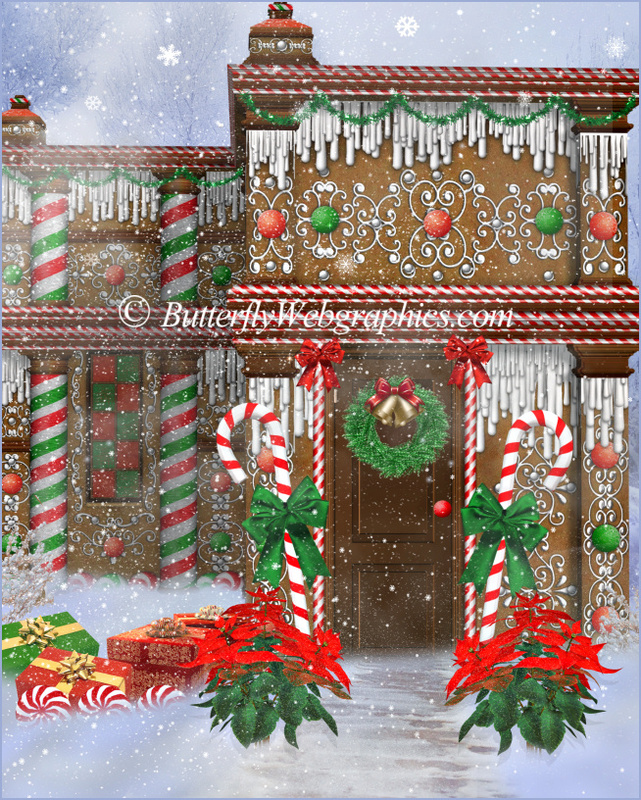 Another design from my Merry Christmas backgrounds package. 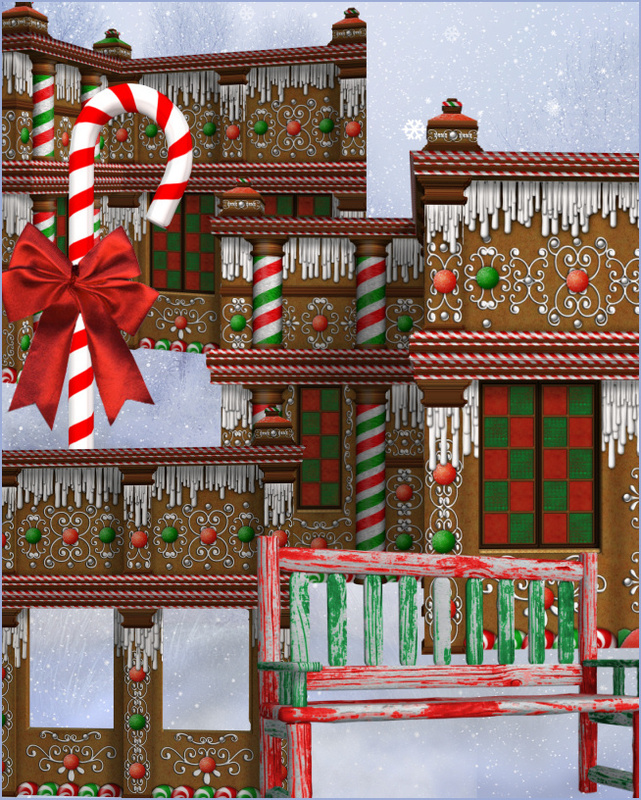 Gingerbread Mansion Graphics with rich attention to detail and a delectable appeal. Nothing says Christmas like a Gingerbread house, and these frosting and candy topped mansions are especially festive and yummy-looking. You can almost smell the gingerbread. Wouldn’t you love to wake up to one of these on Christmas morning? They would be the perfect for Santa and his merry pack of elves. They’re sure to bring the spirit of the season to your holiday designs. The perfect mansion awaits you as I’ve rendered them from many different perspectives and have even removed the windows from some in case you would like to put an interior scene behind them. This package also comes with a bench, a candy cane chair, and a holiday signpost I “repurposed” from my sign package. I’ve also taken the sign apart in case you’d like to construct a unique one. You could really get creative with these signs and make something special. You could arrange them how you’d like and put your own text on them. I used these graphics in my Merry Christmas background package to create some lovely winter scenes. They would also be great for digital scrapbooks and countless other designs. I can imagine cutting out the windows to slip in photos. Pair these images with some of the other many graphics from my huge collection to make a complete winter scene. 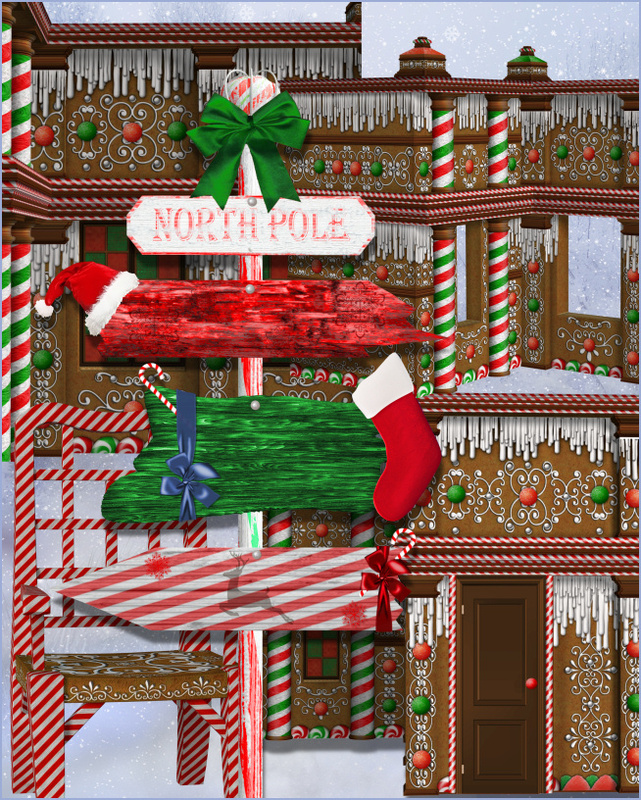 You’ll find plenty of Winter and Christmas themed graphics in my: Holiday Graphics collection. There are 22 royalty free, high-quality clipart PNG images in this package. All of these images (except the background) have transparent backgrounds making it easy for you to use them as tubes or nozzles–or merely to drop into your design. The size of these images varies but are approximately 2800 X 2800 pixels. All are 300 DPI, making them great for print projects. This package is two zip files, which are about 58-69 MB each.